Google’s latest update, which is referred to as Penguin 2.0, has now been activated. So for those in the Search Optimization profession, the question remains what effect this has on their SEO efforts. These site optimization wizards are wanting to know what exactly are the new changes that Google has introduced in their latest search algorithm scramble, and how it will affect their websites digital visibility. What Google has always traditionally done was to keep these changes as secretive as possible when it came to any readjustment. But they have revealed full transparency in a video update on what they are now looking for in a site. They’ll give a boost in ranking to sites which they consider are “authority” in their specific industry or community. 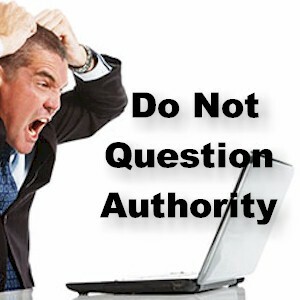 They won’t however define exactly what they consider an authority is, so that’s left to speculation. What authority most likely means is the depth of participation which a particular website has on Google+ Plus, their own social networking program. This since Google has been incorporating and infusing Google+ into all of its products and services, including its search engine. So Google+ is predicted by many as the main influencer when it comes to how a site is determined to be an authority. The question then arises, how can a site then establish this. Content still is and always will be king, as it should be. There’s absolutely nothing which screams you’re an authority on a topic more than supplying unique content which generates high engagement, such as comments, shares, and +1’s. The only way that you can obtain these higher engagement rates while generating followers is by providing unique captivating content which stings, so much so that the readers are wanting to share it with others, Google Circles in this case. This undeniably is the standard. In order for high engagement, to become authoritative, sites will need to post relevant, trendy content which stimulates their audience. What’s considered authority in the eyes of Google are posts which generates shares, comments, and +1’s. There’s no other way of encouraging this level of interaction, other than you communicating directly with your audience. This includes adding others to your Google Circles which in turn can influence them to return the favor. It’s also recommended that you choose your interactions wisely, while remaining as professional as possible. For instance, if someone happens to comment on your post, make sure that you respond back, regardless if it’s good or bad. What doing so does is it builds brand loyalty by proving to the readers that you’re paying attention. Likewise, if someone happens to post interesting content which you find relevant, you can give it a +1 or a share, which could influence them to return the favor. A site with just a few followers on Google+ won’t come across as very authoritative. It’s also proven that building a loyal fan base on G+ can at times be difficult, this especially because of their competition, Twitter, Facebook, and Pinterest. There are ways, however, of increasing your popularity on Google+. Begin by increasing the number of people within your circles, similar to how you would on Twitter. By doing so, your brand and site along with your Google+ profile is placed in front of new people. The more that others begin adding your brand and profile to their circles, you’ll then increase your follow back numbers. Since you’re able to add anyone you want to circles, the most effective is targeting the most relevant people in your industry. So you should be searching for the biggest influences, along with contacts from other social media platforms such as LinkedIn. Likewise, promote your Google+ profile on these other platforms as well. Just as you would display social sharing buttons from the other major social sites, it’s also important that you prominently feature the Google “+1” button as well. What this button does is it encourages all of your site visitors to recommend your content and site, while sharing it with their Google+ circles. The more +1’s that you obtain, the more authority that you’ll gain, as it tells Google that you’re a trusted source for information. To become an authority within your field, it goes beyond posting just routine status updates on Google+. Fortunately, Google+ offers a variety of ways for your brand or site to foster additional relationships with your new or existing audience. The most popular being Hangouts and Communities. Communities allows users to create social groups which can be based on specific interests or topics. Doing so begins to garner an active community, along with building better relationships while acquiring more brand advocates. Doing so also helps you in obtaining more interaction which generates more authority within your industry or niche. In addition, sites can use Google Hangouts as another way of building fresh new relationships, while increasing the engagement rates, which ultimately helps in gaining authority. If you happen to be publishing new unique content on your site, make sure that you list it on Google’s profiles Authorship. What doing so does is it gives more recognition to you and your authors. It also shows Google that there’s an identity which is connected to the content. How this benefits the content which you produce, along with gaining more brand or site recognition, is better credibility that’s generated your way, which increases authority.